Dr. Chokshi received admittance in the Medical Science Scholars Program at Texas A&M University, an accelerated combined undergraduate and medical degree program. There she received her Doctorate of Medicine (M.D.). After graduation, Dr. Chokshi completed a pediatrics residency at Texas Children’s Hospital and Baylor College of Medicine. She stayed to complete her fellowship in Allergy and Immunology. While there, Dr. Chokshi developed her interest in the intricate mechanisms of food allergic disorders. She was involved in many research projects regarding food allergies and eosinophilic esophagitis. She also helped redesign the food allergy and food challenge protocols utilized at Texas Children’s Hospital. 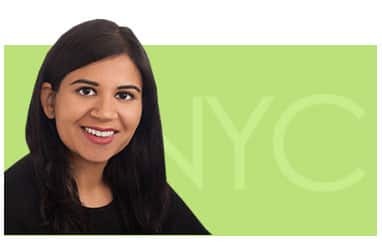 This interest in food allergic disorders led Dr. Niti Y. Chokshi, MD to move to New York, NY, where she joined faculty at the premier food allergy institute Mount Sinai, Icahn School of Medicine as an Assistant Professor of Pediatrics in the Department of Allergy and Immunology. During her tenure, Dr. Chokshi focused primarily on clinical food allergic disorders. She published and lectured on many food allergic topics including molecular diagnostics, early introduction of allergenic foods to prevent food allergies, atopic dermatitis, and the general management and therapeutic interventions of food allergies. Dr. Niti Chokshi, the food allergy and oral desensitization expert, treats pediatric and adult patients. She uses methods such as food challenges and oral immunotherapy to treat food allergies, making a huge impact on the quality of life for food allergic patients. Dr. Chokshi joined the renown Vital Allergy & Asthma Center to add her expertise in food allergy research, diagnosis and treatment. Dr. Chokshi is an active member of the American Academy of Allergy, Asthma, and Immunology, Greater Houston Allergy Society, the Texas Medical Association, and the Harris County Medical Society. She is board certified in both Pediatrics and Allergy/Immunology. When she is not caring for patients, Dr. Chokshi enjoys spending time with her family. Dr. Chokshi’s husband, Dr. Ankit Shah, is an interventional radiologist with the West Houston Radiology Group. She enjoys reading, exercising, trying out new restaurants in Houston, and traveling. Dr. Chokshi has a deep interest in improving the quality of life of all allergy suffers, particularly those with food allergic conditions.